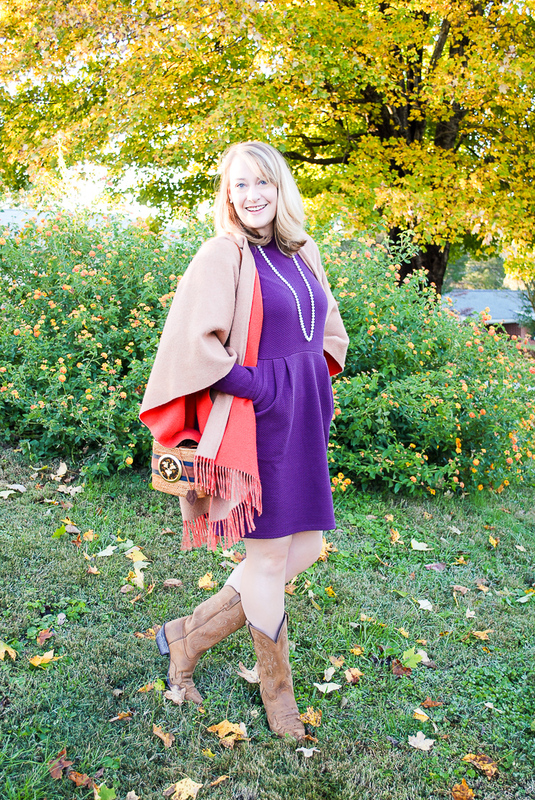 Styling the perfect purple dress from Joules with all the autumn colors! The trees here in East T.N. have fully burst to life, and I just can’t contain my love for all things autumn, especially the stunning colors! My lovely neighbors across the street have the most glorious maple tree that turns a brilliant, buttery yellow then amber, and I just couldn’t resist sneaking some photos in front of it this year. 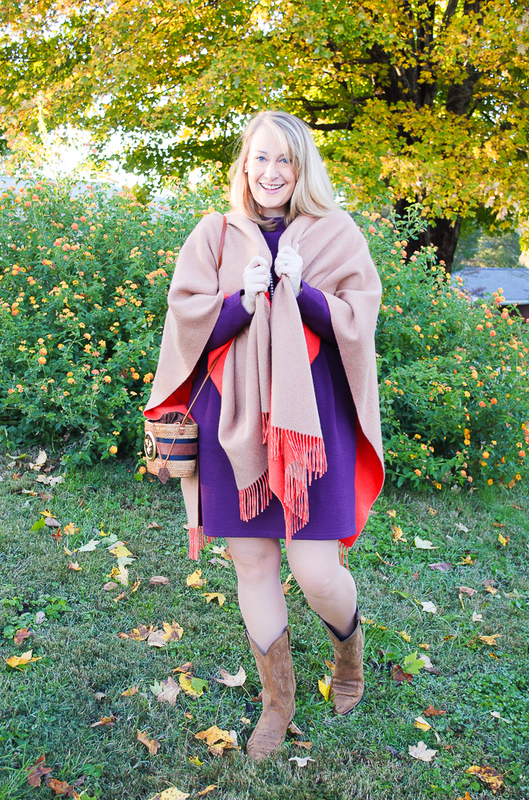 So today’s post is really all about autumn colors! Oh and the perfect purple dress from Joules 😉 under $100! 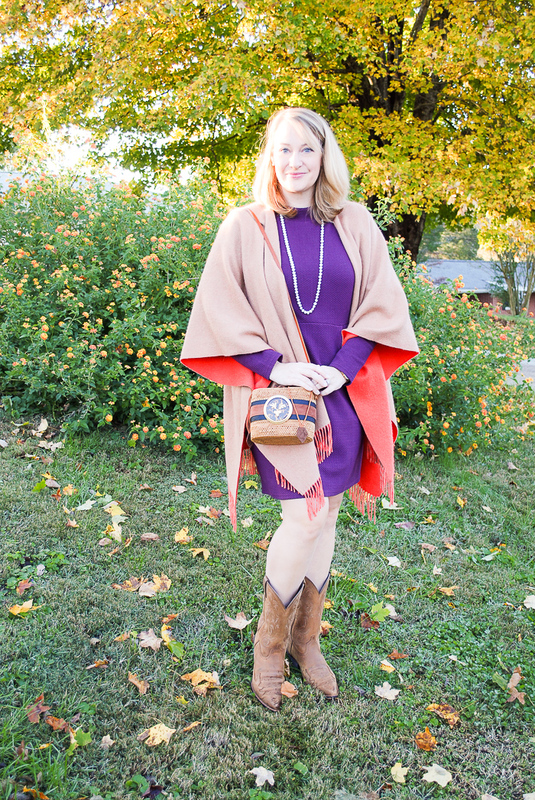 To complete the look of this perfect purple dress, I added my favorite fall merino wrap in camel and orange plus some classic cowboy boots from Ariat and a chic basket bag from Bosom Buddy’s. 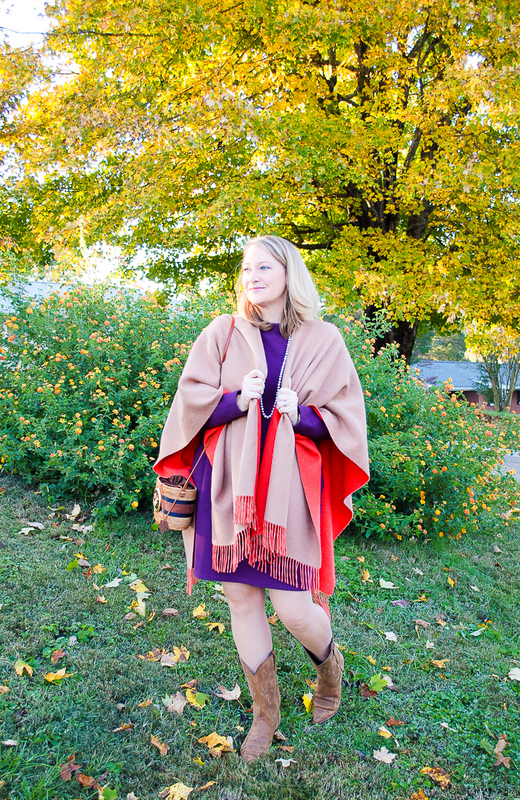 This look is perfect for tailgating this fall, especially if you are a Clemson fan, or all the festive Thanksgiving gatherings coming up! 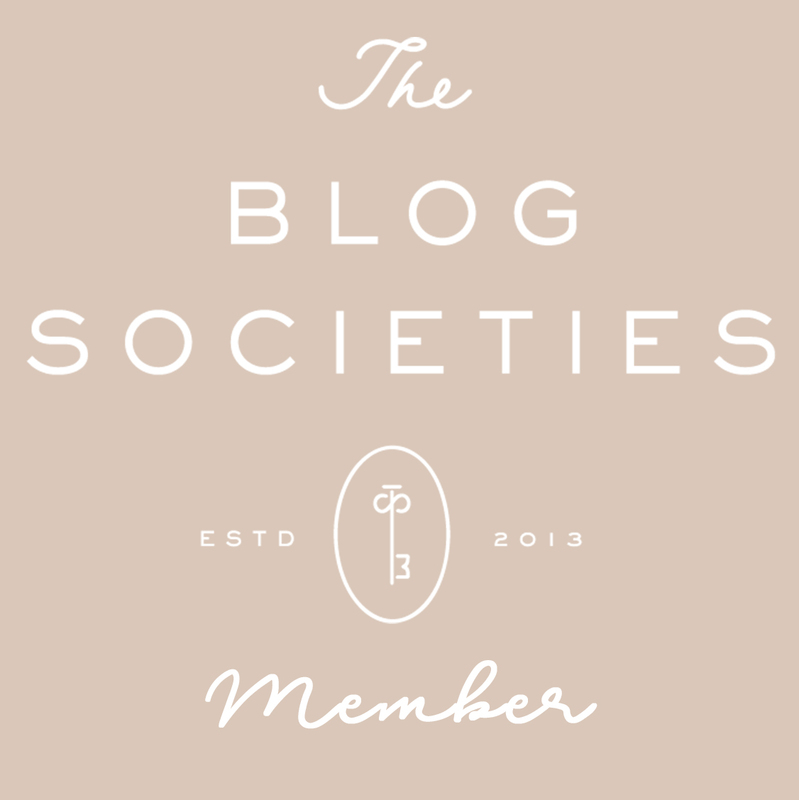 Joules is a new brand to me, although I hear their praises have long been sung across the pond in good ole Britain. They have some of the most darling floral prints, and in fact I also snagged this navy and burgundy striped top with luscious flowers across the shoulders. It is under $50! The price points on their clothing are so reasonable, and I’m impressed with the quality and materials. 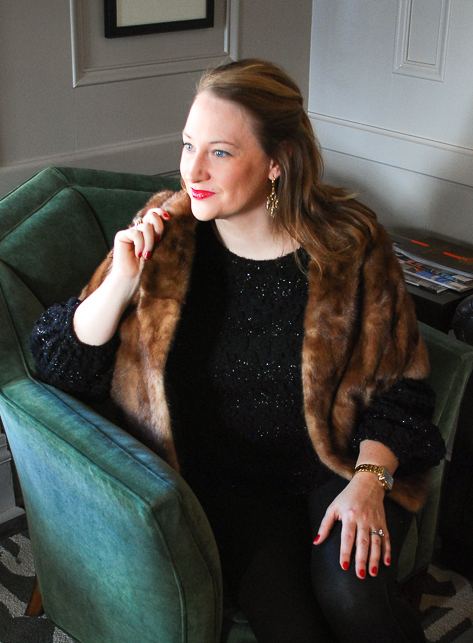 You can shop their clothing online or through Dillards! Such a pretty color combo! Love the purple dress! As a Clemson fan, I support this color combo 100%:) love the dress-ill have to check Joule out! Haha…I was feeling a bit like a tiger! Glad you like it.